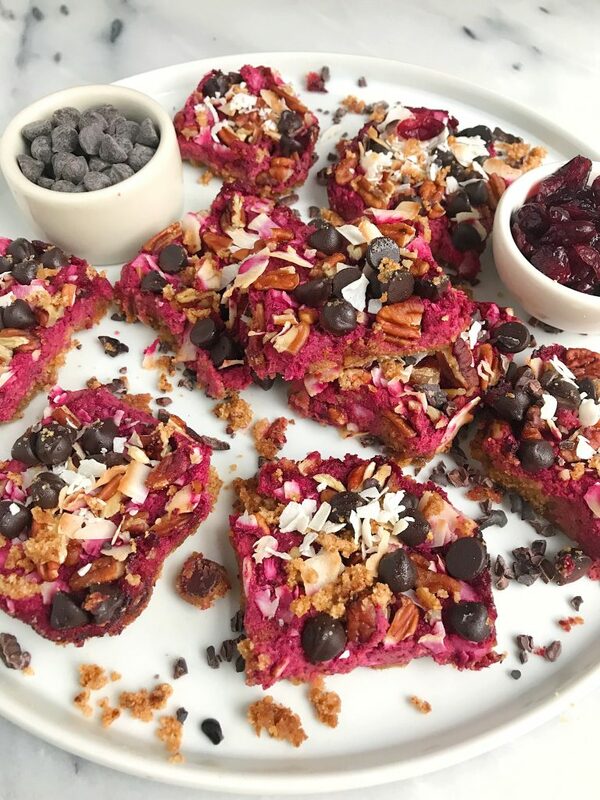 Dark Chocolate Cranberry Magic Cookie Bars that are vegan, gluten-free and lightly sweetened! 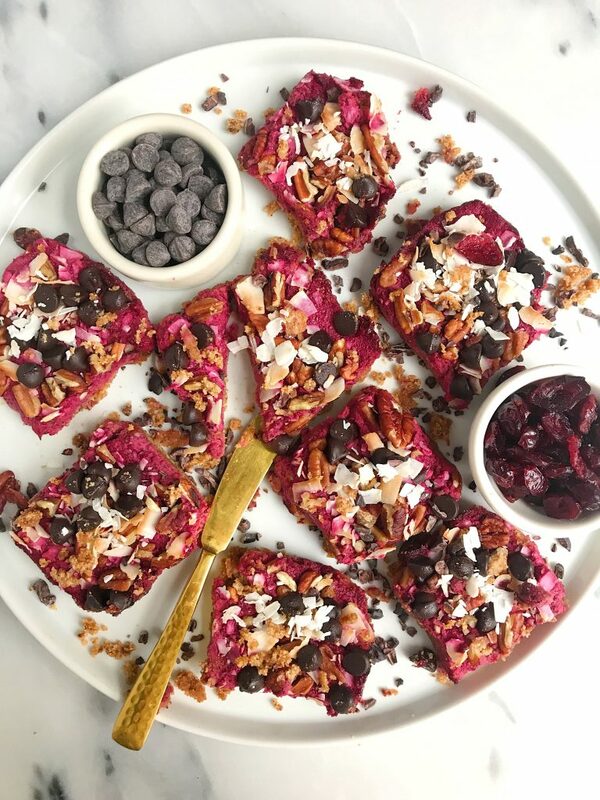 These Dark Chocolate Cranberry Magic Cookie Bars know holidays are coming. Let me tell you. These magic cookie bars are here just in time for the holiday season and all the delicious dessert parties. They are vegan and gluten-free and lightly sweetened with coconut sugar and include fresh cranberries! They give magic cookie bars a little spin from the traditional caramel-like cookie and instead we have made them a bit healthier and easier to make. 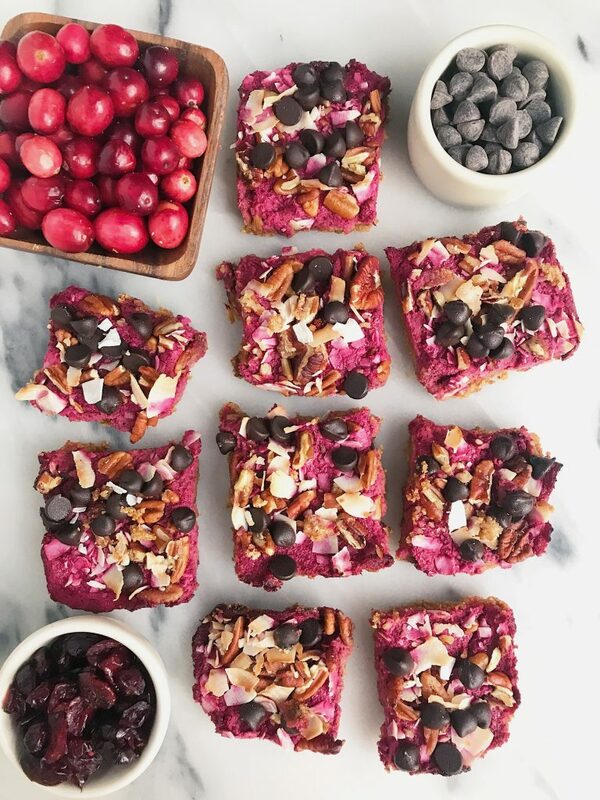 These bars have a dreamy crust made with almond flour, coconut flour and a few other simple ingredients and are topped off with a blended cranberry magical creation using Wisconsin Cranberries. I had no idea that Wisconsin represents more than 60% of the nation’s crop and they are the number 1 cranberry producer in the U.S., like what?! Fall is the harvest season for cranberries so we are making these bars just in time! Cranberries reach their peak of color starting in mid-September through October. Only 5% of the cranberry crop in Wisconsin is sold as fresh berries though! The other 95% are made into sauces, juices, dried fruits, etc. My Mom always had dried cranberries in the house for us to add onto salads when I was living at home. 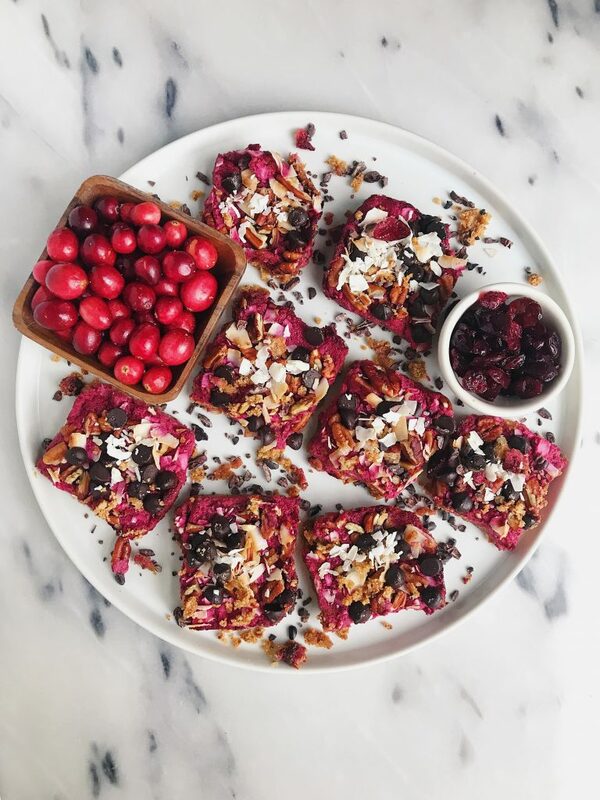 Since we are using cranberries in this recipe, we are also adding some extra antioxidants to these magic cookie bars. Topped off with crushed pecans, coconut flakes and dark chocolate chips. You can also sprinkle some dried cranberries on top too for an extra flavor boost. I brought these bars to Thanksgiving dinner and my family loved! Especially my grandparents. It is such a delicious lightly-sweetened dessert to add to the mix. Thank you Wisconsin Cranberries for sponsoring this post. It means so much to me to work with brands I love and believe in to support my own brand!